The Power to Be Who You Truly Are! 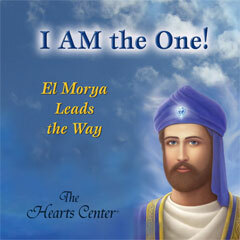 This CD is a powerful way to merge your being with El Morya's whenever you feel the need for the Spirit's light in your day or in your world. It provides a very effective means for staying in presence and maintaining a powerful auric stream of God-energy hour by hour. "Yes, dearest ones, you have my CD. Play it often. And if you do not yet have it, I again commend you to this matrix of power, God-power, wherein you may understand your own divine nature within the eternal fire that I bear and which you may live in as a frequency of fire, as an eternal light-energy of God-glory.